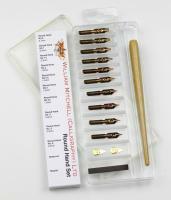 William Mitchell Calligraphy is a Britished based company who have been producing exceptional pens for nearly 200 years specialising in dip pens and calligraphy. 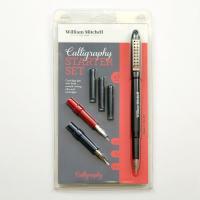 The company began in the 1820s when brothers William and John Mitchell worked toghter making pen nibs. 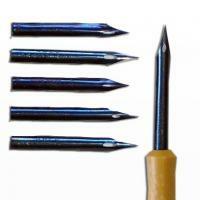 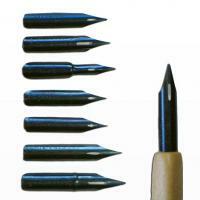 Eventurally William Mitchell started his own company befoming a leading manufacturer of nibs for lettering pens. 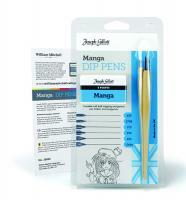 A hundred years later, William Mitchell merged with anoter pen manufacturer, Hinks, Wells & Co to from British Pens. 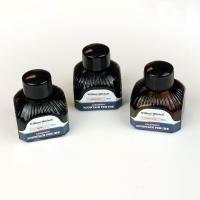 In the 1960s British Pens acquired other pen manufacturers, including the company William's brother John had started. 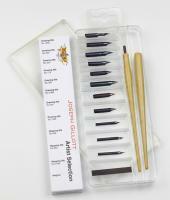 They also acquired Joseph Gilott - a company famous for their artist drawing and mapping nibs. 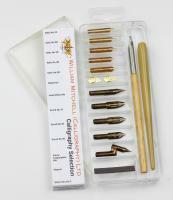 William Mitchell now supply a range of dip pens, nibs, pen holders, inks and accessories.